An international team of gene sequencing scientists, including some at Duke, want to sequence the genomes of all living kakapo—a critically endangered flightless parrot of New Zealand – while there are still 125 of them left in the world. This is the first project aiming to sequence every member of a given species. The scientists and their collaborators are hoping the public can help through a crowd-funding effort. They hope to raise $45,000 US and are a little more than halfway there. With just 2 and a half months left, you can help write the end to this story. Four years ago, Duke research specialist Jason Howard picked up a children's book from the library to read to his 6-year-old daughter. It was about the kakapo (Strigops habroptilus), a flightless, nocturnal parrot that smells like honey. Howard was able to obtain a DNA sample from the kakapo, a feat in itself, and get a rough draft of the sequence. "But the sequencing technology [three years ago] wasn't as good then and it was a lot more expensive," he said. He wanted to get a higher quality genome and study genomes of individuals, in part because there are so few kakapo left. Because this bird is among the most ancient species of parrot, it would also give Jarvis's lab a better understanding of the evolution of vocal learning and speech imitation, where many of their studies focus. 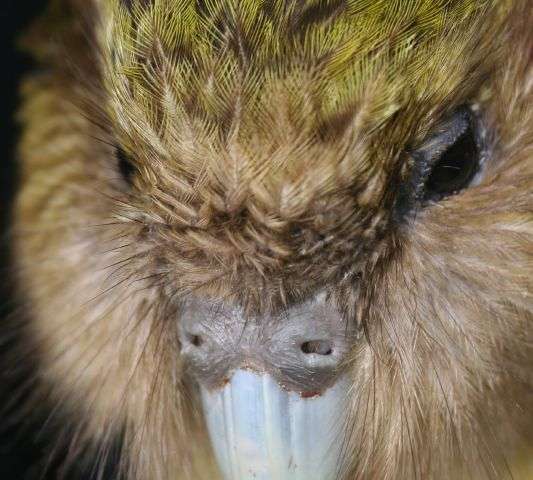 Advances in genome sequencing even in the past year have already answered the group's wish for a more-detailed kakapo genome. Jarvis's lab completed the genome of a kakapo named Jane; their so-called 'reference' genome will allow them to more simply and inexpensively piece together the sequences of other individual kakapo. They just needed the funds to do more. As luck would have it, molecular ecologist Bruce Robertson, an associate professor at the University of Otago, Andrew Digby of the New Zealand Department of Conservation and David Iorns of the Genetic Rescue Foundation approached Howard, while he was working on Jane's genome, about funding and crowdsourcing a project to sequence all of the remaining kakapo. "I had never dreamed of doing all 125," Howard said. 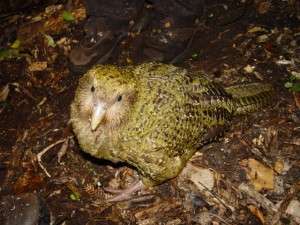 Conservation efforts that started in the 1980s have already employed breeding strategies to boost dwindling population, but with individual genomes in hand, the group will be able to understand which kakapo harbor genetic susceptibility to specific diseases and to more effectively breed them to produce offspring with more robust immune systems. (One day, scientists might even be able to modify disease-vulnerable genes using gene-editing technology.) The genomes will also allow them to investigate any genetic causes of low fertility in these birds, which mate only intermittently. Kakapo currently reside in the wild on just two of New Zealand's small islands, because human-introduced predators, including cats and dogs, ran them off the mainland. Kakapo Recovery has access to museum samples of deceased birds from areas where they are now extinct, including some from nearly 200 years ago. If the project is well-funded, they can tap into these museum specimens to get a better understanding of the various island populations and possible clues about their demise. As of February 15, the team's crowdfunding effort has reached more than 150 backers, but they would like to see more make a donation. To learn more about kakapo, check out Kakapo Recovery and Genetic Rescue Foundation.